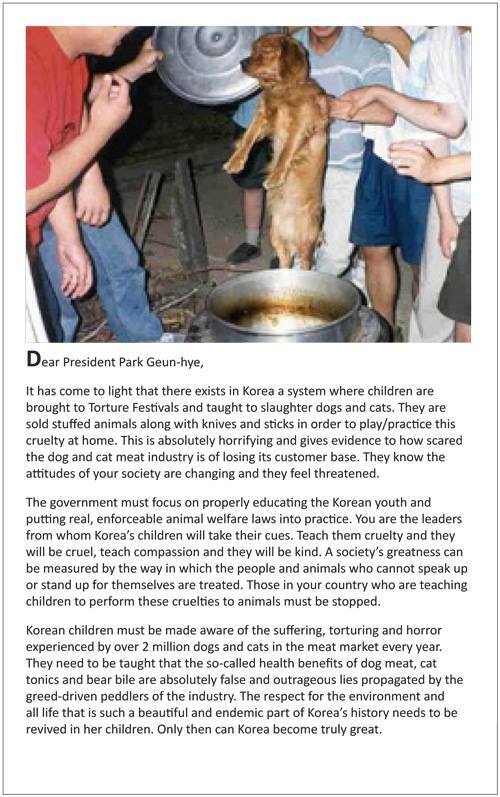 Help stop the torture and consumption of dogs and cats in Korea by mailing these postcards to the President of Korea. Postcards are free to download and to distribute. To mail, Please print and send in an envelope to the President of Korea. For our supporters in the U.S., please contact us with your address if you’d like us to send our postcard to you.